According to the most recent rankings “SSRN Top Authors” (05/11/2017) and “SSRN Top Business Authors” (01/11/2017) - as well as a series of earlier monthly rankings issued by the Social Science Research Network (SSRN) - Fotis Pasiouras, elected Full Professor at the School of Production Engineering and Management, was ranked: (a) in the top 1.5% of the SSRN, according to the “SSRN Top Authors” list, taking into account all the social science authors registered in SSRN (approximately 350,000 authors worldwide) and the all-time total number of downloads of their research papers, and (b) in the top 3.5% of the SSRN, according to the “SSRN Top Authors” list, taking into account the same number of authors and the number of downloads over the last twelve months only. He was also included in the list “SSRN Top Business Authors” which is restricted to authors affiliated with Business Schools around the world. 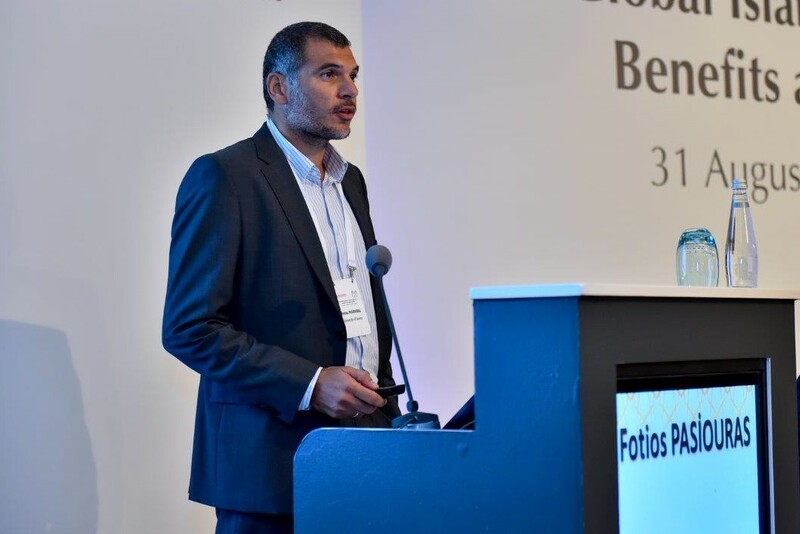 Fotis Pasiouras has published 3 books, 3 edited volumes, and approximately 70 papers, many of which in leading academic journals like: Management Science, Journal of Money Credit & Banking, Journal of Banking & Finance, European Journal of Operational Research, etc. Over the last year, IDEAS/RePEc, another international bibliographic database dedicated to the discipline of Economics, includes him consistently (in all its monthly rankings) in the top 4% of the list “'Top 10% Authors – Last 10 years publications”. In August 2013, IDEAS/RePec also ranked him in the 153th position in the list “Top Young Economists” with the top 200 young research economists in the world. He is Scientific Director at the TUC Innovation House, Visiting Research Scholar at the Institute of Finance of Audencia Business School, Associate Member at the Centre for Governance & Regulation at the University of Bath, Adjunct Professor at the Hellenic Open University, Secretary of the Executive Board of the Financial Engineering and Banking Society, Editor-in-Chief of the International Journal of Banking, Accounting and Finance, and Subject Editor of the Emerging Markets Review (Journal) and the Journal of International Financial Markets, Institutions & Money. In the past, he worked at various UK universities, and he served as Co-coordinator of the EURO Working Group on Efficiency & Productivity Analysis (European Operational Research Society), Co-Director of the Centre for Money Banking & Institutions at the University of Surrey, Visiting Professor at EADA Business School, Honorary Research Fellow at Coventry University, Visiting Scholar at the Lally School of Management & Technology at Rensselaer Polytechnic Institute, Foreign Research Fellow at the Central Bank of Indonesia. 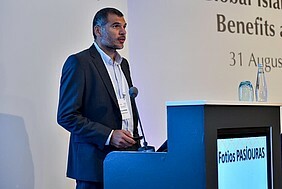 His research has received awards from the University of Bath School of Management (Dean’s Award for Research Excellence, 2008), Coventry University (Frank B Dehn & Co Best Research Student Prize, 2005), and the international publishing firm Emerald (Emerald Literati Network Highly Commended Award, 2008 & 2009). SSRN is a well – known international open-access online repository of pre-prints and research papers. It includes 767,270 abstracts and 648,553 full text research papers from 357,385 researchers across 30 disciplines from various fields of social sciences and humanities (economics, entrepreneurship, anthropology, law, corporate governance, philosophy, political science, etc.). SSRN was founded in 1994 by Michael Jensen (Emeritus Professor, Harvard University) and Wayne Marr (CEO, Financial Economics Association). In 2016, SSRN was acquired by the international publisher Elsevier. SSRN has more than 2.2 million users that download over than 13 million full text papers annually; taking the number of total downloads to over 118 million. It has been ranked as the top open-access repository in the world by Ranking Web of Repositories (an initiative of the Cybermetrics Lab, a research group belonging to the Spanish National Research Council), in a number of occasions.